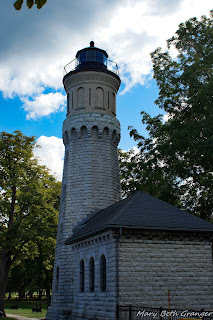 On a recent trip out east we made a stop at Old Fort Niagara lighthouse. 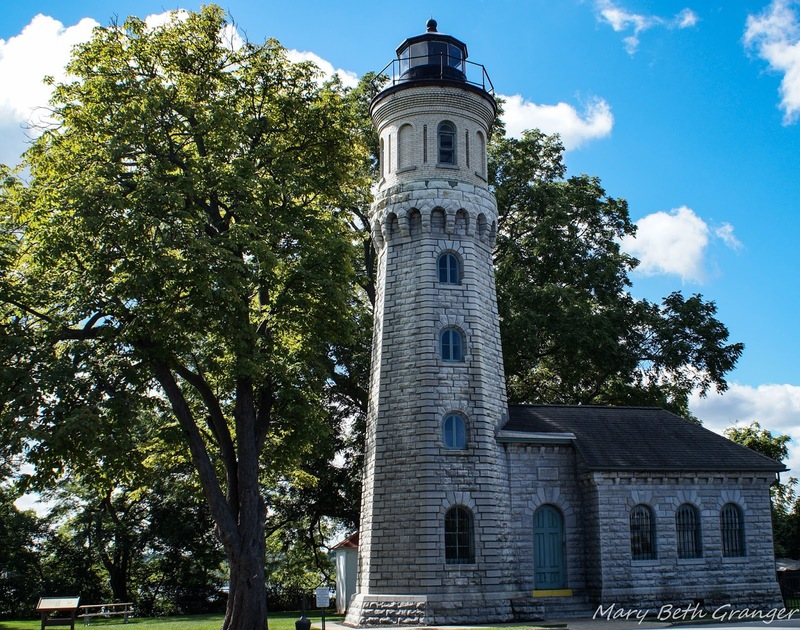 This lighthouse is located about 15 miles north of Niagara Falls in New York State. It is on the Niagara River at the south shore of Lake Ontario. We found the lighthouse on the edge of the parking lot of what is now the Visitors Center for Old Fort Niagara. The original lighthouse on the site was constructed in 1782 on top of the "French Castle" In 1872 the current lighthouse was established. It is octagonal in shape and has a black lantern. 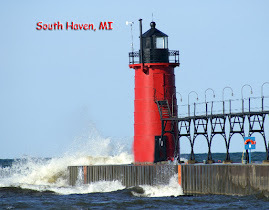 It is constructed of limestone and I found it to be one of the most attractive lighthouses I have visited. Here is a view of Old Fort Niagara that spans a history of more than 300 years. At different times in the history of the fort it was held by the French, the British and the USA. 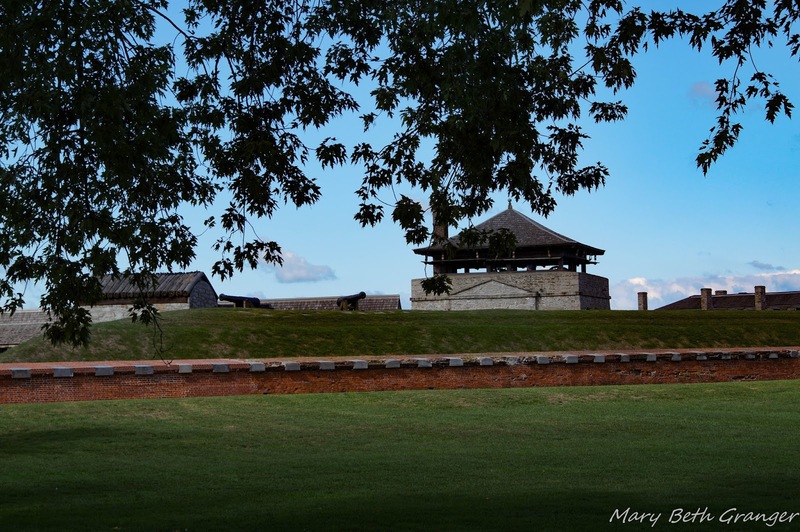 The last armed conflict at the fort was the War of 1812. It was used as a training center for American soldiers throughout both World Wars. The last army units were withdrawn in 1963. Today it is held by the Coast Guard.